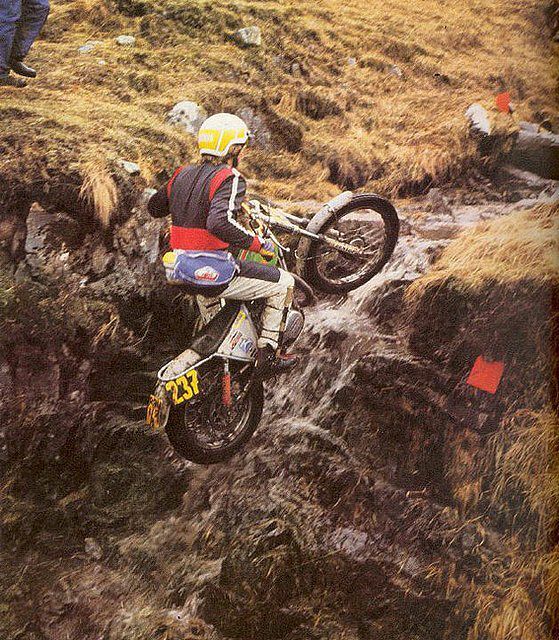 And then the world went crazy about Mick Andrews..........so you rode the Scottish back when they started in Edinburgh and also you have ridden it when it started in Fort William? I rode the Scottish 30 times. Wow ! .Was it a lot harder when you had to start from Edinburgh? Yes, it was, infact I won the last one. 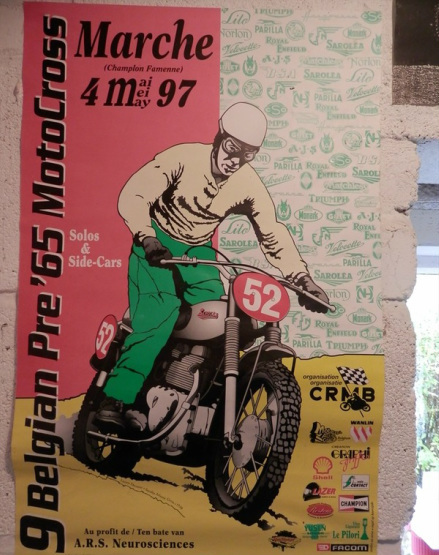 But in those days, remember we was riding the same moors that you ride now, on these big bikes, but the mileage in those years was about 1200 miles you had to do, now you only do about 600. So in a sense it was a lot harder. Those big old bikes and we had to be the mechanics, on the motorcycles, we can’t have mechanics like you have today where you arrive and they take the bike off you and they repair it and they give it back to you each night, type of thing. Did you carry your own spares? We had to carry our own spares, tools and work on the bike with the tools that you had, you couldn’t get tools from anywhere else, you had to carry the tubes and everything, it’s a nightmare. And when you started in Edinburgh, it was mostly on the roads to get over to the Fort William area? Oh no, the first part was on the road and then when we go across the moors, so after 50 miles that when we went onto the moors and we came off the moors when we got to Fort William. Ranock Moor and all that, yep. And the rest of the week you would spend it around Fort William? Everything was around Fort William and the last day was back to Edinburgh. Did you prefer the Scottish how it was then or how it is now or was it just different? You just go with the progress, the last time I rode was in 2000 and it’s always a Scottish rider that has the number 1 plate and they let me start as number 1 and I think that’s the first time they let an outsider start with the number 1 plate. That was my last Scottish. I thought I wanted to do 30 and I didn’t want to do any more. 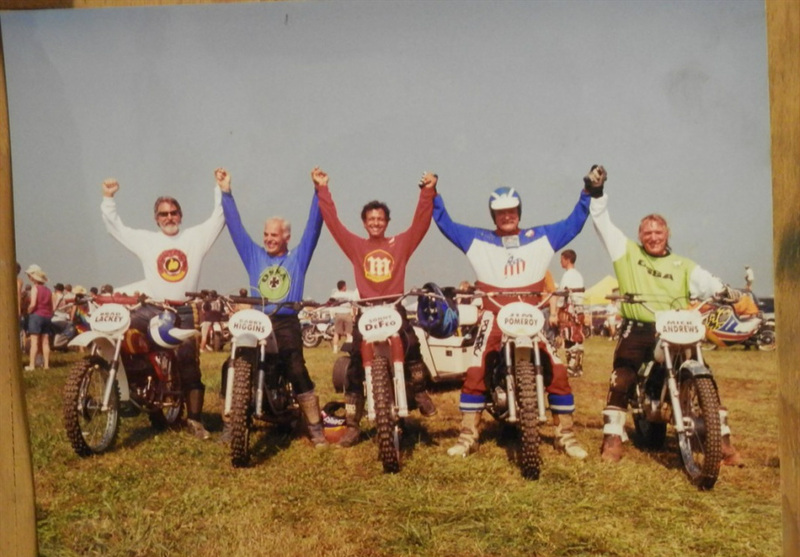 In 1965 you were on the James, how did that compare to the Bultaco that had just come out at that time? 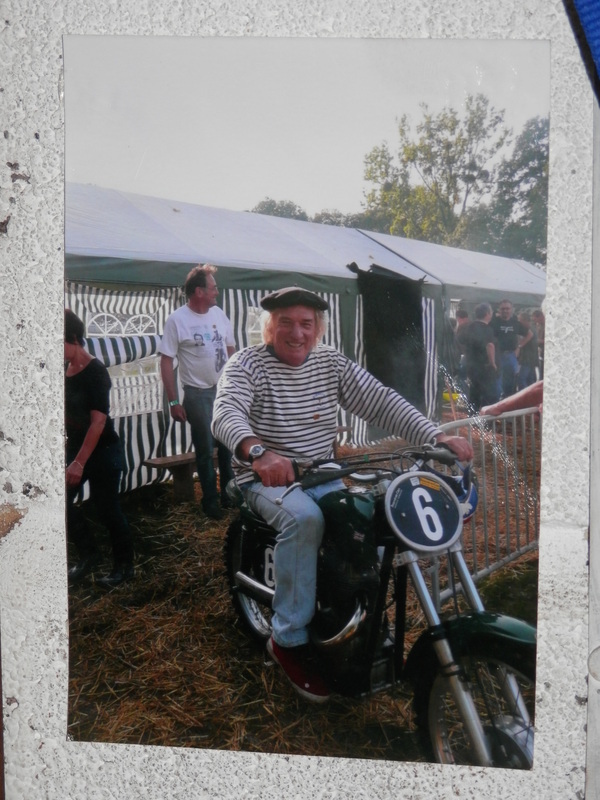 Ah, the Bultaco I rode, yes, it was quite good. Was the James nearly as good, how did it compare? 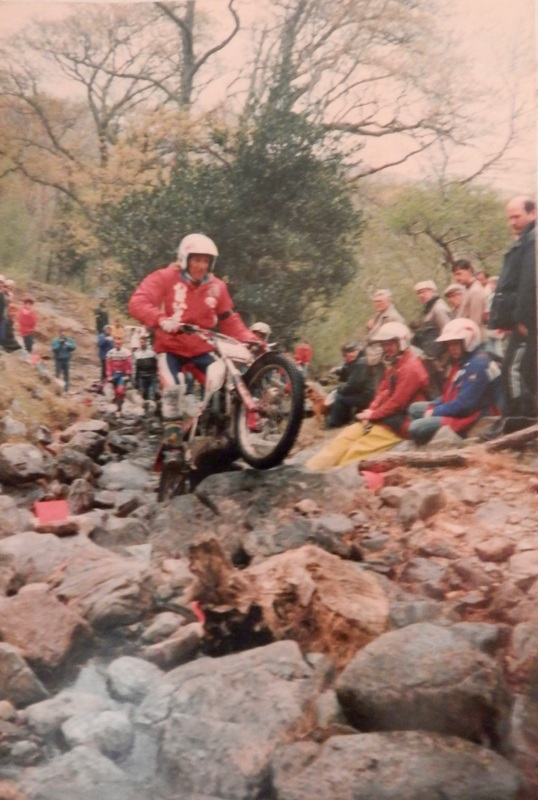 It, it's, very different, the Bultaco I think I finished 2nd or 3rd in the Scottish, yeah, I was very pleased with that, but I only rode it 6 months before we went to the Ossa factory you see, the James was good, that’s a replica of it that I ride now, more or less. 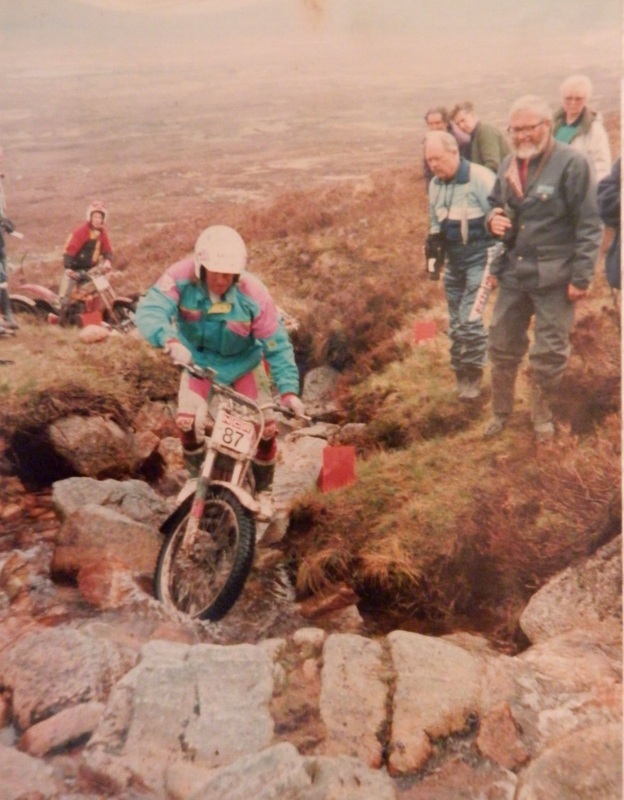 Mick Andrews during the mid 80's at the Scottish Six Days Trial. 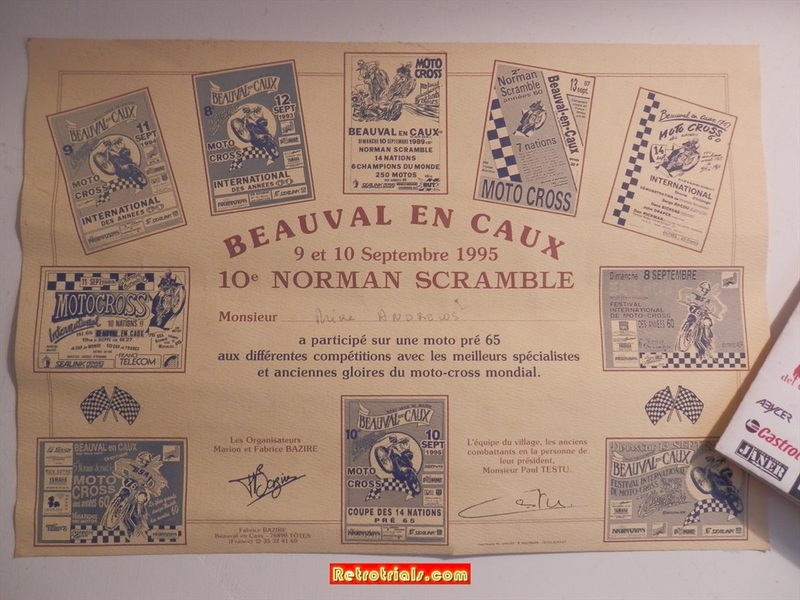 Where was/is your favourite Motocross venue when you were riding? 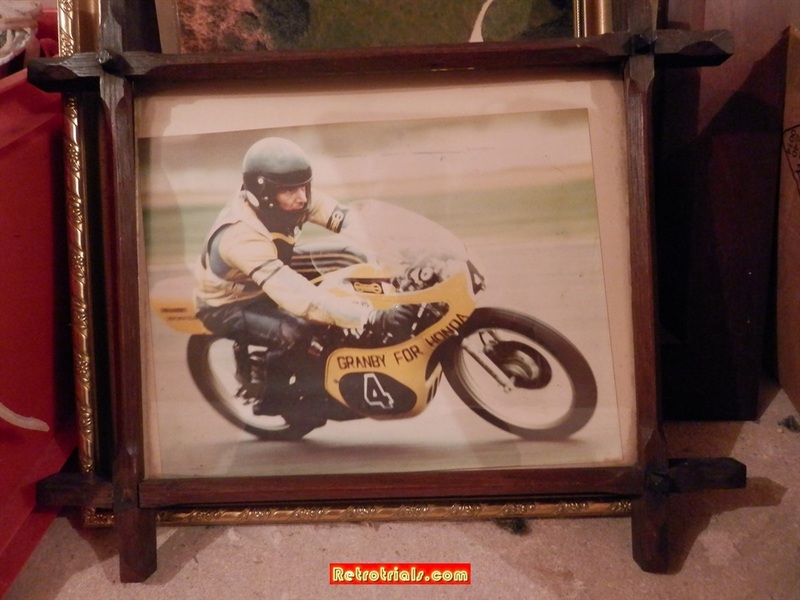 Favourite one I used was at Tilton, in Leicestershire, I loved that circuit and there was a circuit in Spain that I liked cos I had to do a lot of the Spanish Championships, with the Ossa scrambler and there was the circuit, Mongai, not far out of Barcelona and I used to love that circuit because part of the circuit went through the town. There are some great names lined up in the photo beneath. 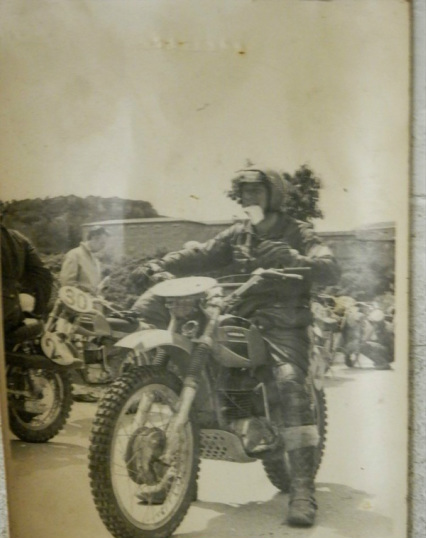 Mick also did a spot of road racing. Here is a picture from his collection.